Throughout Modern’s history, decks have risen and fallen in popularity. One of the most critical factors driving these shifts on the metagame ladder are changes to the card pool; a new set or a timely edit to the banned and restricted list can send a deck’s stock soaring or tumbling. However, not all of the moves we see in response to such changes are based on results and extensive testing. Sometimes, speculation drives a deck to an unsustainable high or an undeserved low. When this occurs, the metagame is often quick to compensate. I find that the more informative of these two categories is which decks are being underrated. Being at the helm of a well-positioned but unexpected strategy yields a strong advantage come tournament time. In this article, we’ll discuss some decks that I feel were burdened with low expectations in the current metagame, and the reasons why they have been currently punching above their weight. I feel that the foremost example of this phenomenon is Grixis Shadow. Bloodbraid Elf‘s unbanning threatened its supremacy as the premier rock midrange deck, and as such many pilots abandoned the strategy. However, time has proven that the deck has not lost any of its potency, and required very minimal adjustments to continue putting up results. This 75 demonstrates some interesting adjustments the deck has made to keep pace with the rest of the metagame. One of the major draws to playing Shadow was always that it had the ability to finish games more quickly than other midrange decks, thanks to its namesake creature getting gigantic as the pilot’s life total dipped, and Temur Battle Rage serving as an “I win” button in combination with it. In order to further leverage this gameplan, we see that Gurmag Angler has become the delve beater of choice over Tasigur, the Golden Fang. While the Zombie Fish is a bit tougher to cast, it’s still well within possibility on turn two when coupled with Thought Scour and a couple of fetchlands, which the deck is built to assemble. Angler rewards its pilots for this extra investment by providing more power, which is relevant when going toe-to-toe with the likes of Tarmogoyf. It also dodges the occasional annoyance of having a Tasigur on the battlefield, with a second copy unhelpfully stranded in the pilot’s hand. The sideboard also features an array of tech. The Liliana of the Veil-oriented sideboard plan that past versions of Grixis Shadow employed isn’t especially well-positioned against the current crop of midrange decks, so it’s being swapped out for Young Pyromancer. This is a key innovation in my mind, as one of the major ways to combat Shadow’s big beaters is with edict effects and heavy-duty spot removal, neither of which is especially effective against the combination of Pyromancer with Kolaghan’s Command. Bogles has also begun to make more regular appearances at the top tables, and Engineered Explosives is among Shadow’s best answers to the aura-based menace when Leyline of Sanctity prohibits them from picking their opponent’s hand apart. The Grixis wedge has enough tools to adapt to most metagames, but that adaption takes a little time. Now, Grixis Shadow looks to be alive and well. Next up is a deck that’s been floating in and out of the metagame in its current incarnation in Amulet Titan. Since Summer Bloom‘s banning way back in January of 2016, fans of Amulet of Vigor have been tinkering with the land-centric shell in order to make up for the loss in explosiveness. Because of that, the deck has become an interesting hybrid between the blisteringly fast combo deck of old and a value machine using Tolaria West to find some handy silver bullets. One major change this deck has made over the pre-ban versions is streamlining the colors of the spells being cast. While the original edition of this deck splashed blue for Hive Mind and Serum Visions, the current deck is almost entirely green, and employs Explore as its cantrip of choice. This makes the deck highly consistent, as the vast majority of land combinations enable it to cast spells effectively. Tolaria West is the deck’s most versatile card, enabling the deck to play all kinds of useful pieces beyond the Summoner’s Pacts that act as functional copies of threats or disruption. Engineered Explosives hits all kinds of cards in a deck that can produce all five colors of mana, Walking Ballista weaponizes a stagnant board state with lots of excess mana or remove any troublesome early creatures, and Pact of Negation protects the combo. Together, they give this deck more game than would immediately be apparent from just looking at its primary engine. The sideboard demonstrates that the pilot was really only concerned with two types of opponents: fast combo decks that demand disruption (Storm), and highly disruptive decks that complicate executing the primary gameplan (Jund, Jeskai). 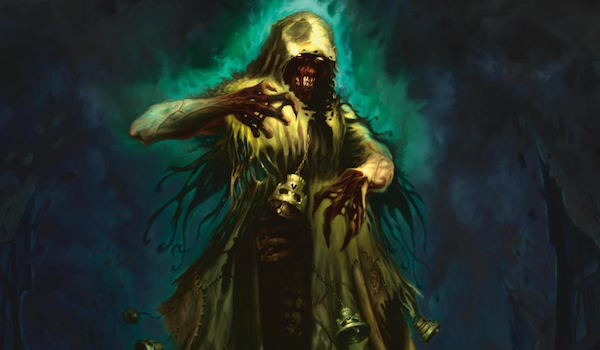 For the former category, the combination of Relic of Progenitus, Spell Pierce, and Dismember covers most common exemplars of these archetypes, while value creatures such as Hornet Queen, Obstinate Baloth, and Ruric Thar, the Unbowed are quality threats to slam against interactive opponents. As a whole, the deck looks to have plenty of game against the field, and should reward pilots willing to brave its notorious learning curve. Due to the nature of hosers in Modern, the fortunes of most linear decks wax and wane rather dramatically depending on how many hurdles you can expect to face in postboard games. In the case of Living End, graveyard hate has become a fixture of many sideboards thanks to fair decks’ increased reliance on it as a resource. A timely Relic of Progenitus or Rest in Peace shuts down everything from Gurmag Angler to Bedlam Reveler to Tarmogoyf, which makes playing an entirely graveyard-centric deck a somewhat dicey proposition. The deck struggled in the face of these cards to the point that a combo-control spinoff on it that was better-equipped to fight the hate enjoyed some success for a time. However, the resurgence of Jund and other board-dependent midrange decks that cannot afford to play quality graveyard hate has ameliorated the graveyard-related hostility in most sideboards, which in turn opened up a niche for the timeless cycling-intensive deck. The creature base hasn’t changed much since it got its last quality batch of cycling creatures in Amonkhet, which has made the deck very difficult to beat if its namesake spell resolves.What has occurred is consolidation: weaker cyclers the deck was forced to use in ages past such as Architects of Will and Deadshot Minotaur are definitively gone, and Archfiend of Ifnir & co. have cemented their place in the 60. Beyond that, sticking to the full playset of Fulminator Mage seems like a great way to combat both big mana and fair decks, and the singleton Kari Zev’s Expertise can get a drawn Living End out of hand, turning an ordinarily disastrous event into a positive. Sideboard-wise, we have a spicy new addition in Lost Legacy. Being able to proactively strip sideboarded answers from opposing decks goes a long way towards making postboard games more tractable, and helps in the combo mirror. The addition of Blood Moon may seem curious for a deck that’s somewhat color-intensive, but the money cards for Living End are the cascade enablers, and both of them use red mana. After accumulating a critical mass of cyclers, End can slap down Moon and gum up its enemy’s plan, providing time to find and cast a Living End. This 75 looks pretty well-tuned for the current metagame, and I wouldn’t be surprised if the deck experienced a small resurgence. We now come to a former mainstay among the combo decks in the format in Ad Nauseam. This resilient, consistent strategy was seemingly always hanging around until recently, when the popularity of Grixis Shadow made suiting up with it a tough sell. While the Shadow menace persists, it’s not quite at the level it was when it pushed Ad Nauseam to the fringes of Modern, and thus some pilots have found success with it again. Ad Nauseam’s maindeck is famously rigid, and this 60 is no exception; a singleton Pyretic Ritual is the only card that stands out as unusual to me. Instead, the spicy tech is in the sideboard: a Gifts Ungiven package threatens opponents on an angle they are unlikely to be prepared to defend in game two, which can result in some free wins. At a minimum, Gifts likely draws out countermagic or a discard spell from the disruption-minded, which can provide the pilot with an opening to resolve their namesake spell. And the Gifts package incentivizes opponents to keep in heavy-duty removal, which flops against the rest of the deck. It’s becoming increasingly apparent that Modern is experiencing an exquisite state of balance. There are lots of playable archetypes at the competitive level, and the gap between metagame mainstays and fringe players is about as slim as I can ever it remember it being. In such a climate, it is foolish to dismiss any deck’s prospects, as a competent pilot with the right pairings can lead many an archetype to a strong finish. If you have any examples of decks that have been punching above their weight, or ones that you feel have been seeing less play than they deserve, drop me a line in the comments. Nice to see som Living End again! But personally i wouldent put Lost Legacy in new spice. Have been in and out from my sideboard since it was realesed. Maybe that just means you were ahead of the curve, my friend. I went back and looked at some of the lists from the past, and it’s usually the more expensive Slaughter Games in that spot, or some random lifegain creature. Is turns underrated? Or mill? Both decks are very hard to interact with and have fast and consistent gameplans. Too many emrakuls can grief mill I suppose, but turns with jace just seems gross? Gigadrowse and exhaustion into jtms and then spam time walks? Or just remand and cryptic while an as foretold ticks up? Seems super consistent and powerful to me! I agree, Turns is a bit underrated. The deck’s ability to successfully leverage cards like Ancestral Vision and Jace is impressive. Part of it is that I feel that a stock 75 hasn’t been narrowed down yet; some people were experimenting with splashing white for sideboard tools, but I’m not convinced that’s the way to go. Mill is one that I’m not as sold on (I’ve faced it a few times now, and it’s always felt a step slow), but I want to see what people can come up with using Fraying Sanity before I close the door on it. Having played against a lot of mill in the local meta it really struggles against aggro and against anything if it can’t Archive Trap at least once for free it doesn’t win. Turns is interesting because in my experience it fizzles a lot but also recovers easily. As a side note Ricochet Trap is very good against Time Warp.